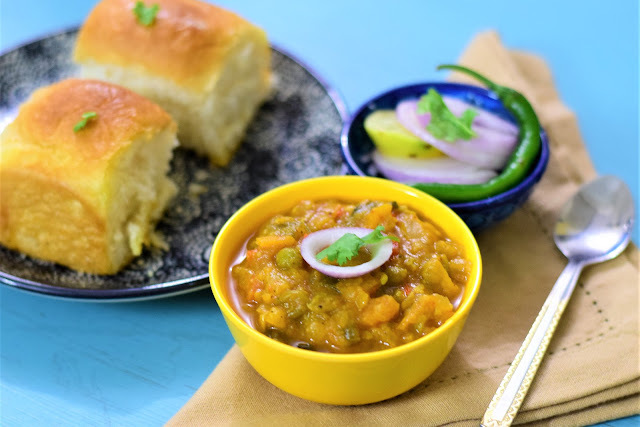 Pav Bhaji is a popular Mumbai road side snack. 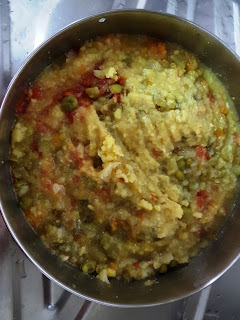 The bhaji is made of vegetables like cauliflower, potato, carrots, tomatoes, onions and capsicum. You can add beans and peas too. I have used readymade pav bhaji masala here. You can make this with whole wheat pav or bun and substitute butter with olive oil to make it healthy. Kids would love to have this for their lunch box or as an evening snack. 1) Pressure cook all the vegetables except for the onion, capsicum and ginger garlic paste for 3 whistles. 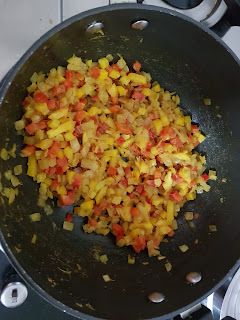 2) Heat the oil/butter in a large pan, add the onion and capsicum and sauté for 2 minutes. Then, add the ginger-garlic paste and sauté till the onion softens. 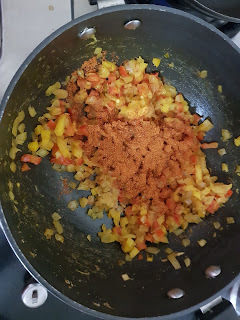 3) Add the turmeric powder, chilli powder, pav bhaji masala and salt and cook for 2 to 3 minutes. 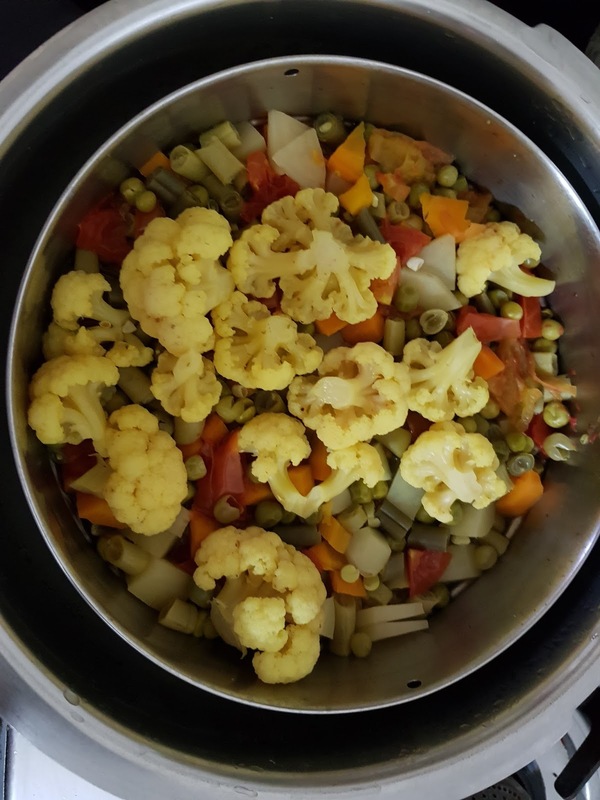 4) Add the boiled vegetables and mash thoroughly using a potato masher, adding additional water as required. Bring it a bhaji consistency. 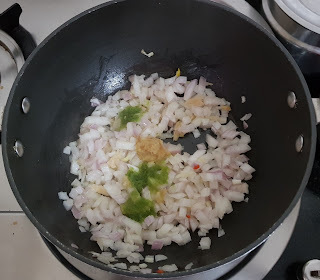 Add lemon juice and coriander leaves finally. 1) Slice each pav into 2 horizontally. Apply a little butter to each side. 2)Heat a large tava and cook the pav on both sides till the pieces are lightly browned. 1) Serve the hot bhaji on 4 individual plates and top with the onion and coriander. 2) Serve with the hot pav and lemon wedges.